Elizabeth (Lisa) Liang is back with her column featuring interviews with Adult Third Culture Kids (ATCKs) who work in creative fields. Lisa herself is a prime example. A Guatemalan-American of Chinese-Spanish-Irish-French-German-English descent, she has developed her own one-woman show about growing up as a TCK, called Alien Citizen, which premiered nearly two years ago and is still going strong. In fact, she will soon be taking the production to Valencia, Spain, and Capetown, South Africa! Welcome back, readers! 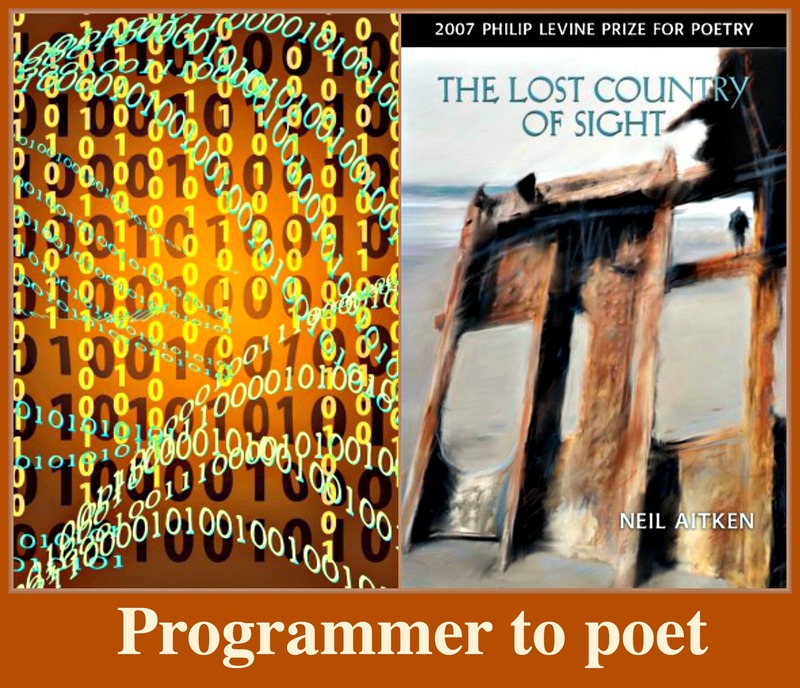 Today’s interviewee is poet Neil Aitken: winner of the prestigious Philip Levine Prize for Poetry for his book of poems, The Lost Country of Sight and founding editor of Boxcar Poetry Review. Neil and I met at the Mixed Roots Literary & Film Festival in 2009. 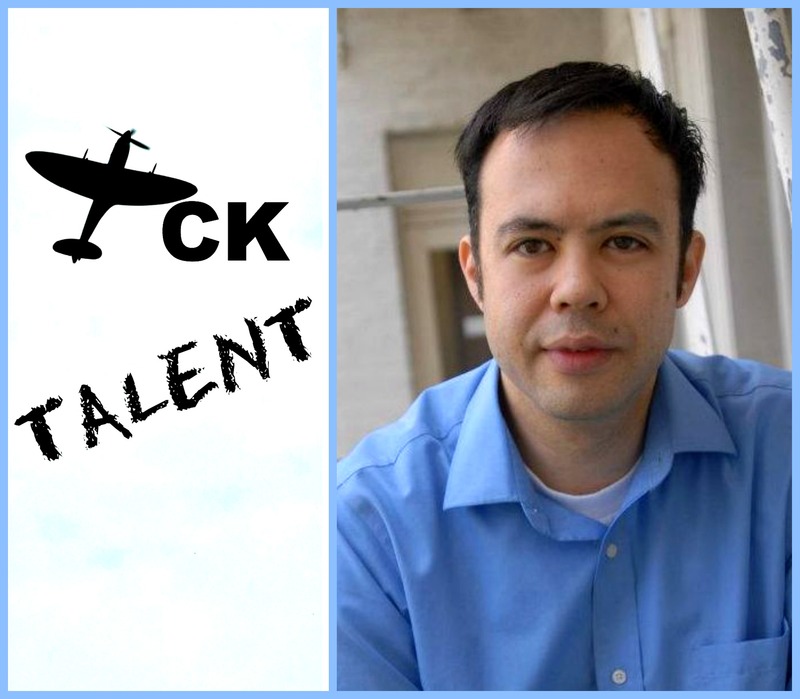 I am so pleased to have the chance to interview him this month for TCK Talent. Welcome to The Displaced Nation, Neil. I understand that you’re a multi-ethnic ATCK like me! Please tell us about your heritage. My father was born in the Okanogan Valley in British Columbia, Canada, of Scottish and English descent. My mother was born on Hainan Island, south of China, in the midst of the conflict between the Nationalists and the Communists in China. Shortly after her birth, her parents—her father was a high-ranking officer in the Nationalist Army and her mother, the daughter of one of the elite island families—fled to Taiwan to escape the Communists. Despite growing up a world apart, my parents met in the middle, Hawaii, while both attending university there. Where were you born, and where did you live growing up? I was born in Vancouver. My father’s bachelor’s degree was in Linguistics & ESL. His first job took us to Dhuhran, Saudi Arabia, where he taught English in the oil universities. But then my mother developed severe asthma due to the extreme heat and dust, and the doctors warned her that if she stayed any longer, she would be putting her life in peril. So she took my younger sister and me (I was four, my sister two-and-half) to Taiwan to live with relatives while my father completed the last nine months of his teaching contract. While in Taiwan, my sister and I forgot all our English, switched completely to Mandarin Chinese, and attended a Chinese-speaking pre-school. When my father finally arrived to pick us up, apparently we were so frustrated in our inability to communicate with him, we refused to speak Chinese until we relearned English. By the time we returned to Canada, we’d made the switch—but lost our Chinese in the process. My father returned to school in Vancouver, concluding that it was too hard to raise a family as an ESL professor. He completed a Masters in Library Science degree at the University of British Columbia and, when I was eight, we moved to North Battleford, Saskatchewan, a small city surrounded by farmland in the northern part of the province. Later we moved to Regina, the province’s capital and a much more vibrant multicultural center, where my father took his dream job as the supervisor over a special book collection focused on local, regional, and family histories of the Central Plains and Prairie Provinces. I completed elementary school and high school there. Fascinating! Did you stay in Canada for college? No, I moved to Provo, Utah, to attend Brigham Young University, but I took a two-year break from school to serve as a missionary in Taiwan, relearning Mandarin in the process and re-immersing myself in culture, family, and place. When I returned, I completed my studies and then returned to Canada—to Calgary, Alberta. I looked for work for a year and eventually landed a job in Los Angeles. I understand that just as your background spans two very different cultures, your academic background spans two very different disciplines? Yes, as an undergraduate I studied Computer Engineering with a minor in Mathematics. I also took a number of graduate courses in Creative Writing. My first job was working in the computer games industry, but after five years, I left programming to pursue an MFA in Creative Writing and then returned to Canada for a year to look for work and to care for my father, who was in rapid decline from ALS. I also spent that year writing and finishing my first book of poetry and then applying to PhD programs. I received a number of excellent offers from all over the US, but in the end chose to return to Los Angeles and pursue a PhD in Literature and Creative Writing at the University of Southern California. I’ve been here in Los Angeles ever since, but now, on the threshold of graduating, am likely to be packing up and moving again to somewhere as yet undetermined. Binary code via Pixabay; cover art. What has the transition been like, going from computer programmer to poet? In truth, I’ve been writing poetry almost as long as I’ve been programming. I started writing poetry in earnest when I was around 10, about the same time my father brought home an IBM PC Jr with GW-BASIC on it. One of my very first original programs was a haiku generator that produced pretty awful haiku. Even as an undergraduate studying computer science, I sought permission to take creative writing classes at the graduate level. For a long time, I thought I could juggle writing poetry with computer programming. Eventually, however, programming lost its luster and I stopped loving the work, despite still being good at what I did. I knew at some point I needed to jump ship—I couldn’t bear the thought of spending my life in a field that no longer held my attention or affection. Working full time as a computer games programmer, I found myself putting in 60-, 70-, 80-, and occasionally 94-hour weeks. It was just too much. It was time to find a way out. At the same time, it was important to me that I avoid going into debt for my poetry degree, so I had to wait for the right offer. All the while, I continued programming and when possible, spent my evenings at open mic poetry venues, listening to all sorts of poets read their works. Eventually, I received a call from UC Riverside offering me a generous full-ride MFA scholarship, which made the transition possible. One of the judges for the Philip Levine Prize said that “Traveling Through the Prairies, I Think of My Father’s Voice” struck him as being a “perfectly made poem.” Was your family close? I have many fond memories of time spent as a family together, whether it was picking through a coal seam at the side of a mountain highway with my father searching for fossils, or gathering together as a family on the eve of my graduation—the photo of which is the only family photo where we’re all smiling naturally, unrehearsed, unburdened by life’s later challenges and sorrows—or just simply lazing around the house at Christmas, listening to my father read Dylan Thomas’ A Child’s Christmas in Wales to us with his usual gusto and dramatic flair. Where have you been happiest as an adult? My happiest moments in recent years have been tied to my friends and fellow poets whom I met through Kundiman, an organization dedicated to the creation and cultivation of Asian American literature. The three years I attended the Kundiman Poetry Retreat set in motion lifetime friendships and bonds with people that, to this day, I count as my closest poetry kin—I was unprepared for how deeply and completely I would fall in love with the community, and how this group of Asian American poets would come to be a second family. When I showed up for my first Kundiman retreat in 2005, I was convinced that there had been an error—how had they let me in? What use could they have for a Chinese-Scottish-English Canadian poet who rarely wrote about identity, at least not directly? But on the first day, as we made our introductions in a classroom at the University of Virginia, I soon realized that many of the other participants felt the same way I did. We had all arrived convinced that our lives and our writing were somehow outside of what was expected and permitted—only to discover that what was happening on the front lines of Asian American literature was much more diverse and vibrant, much more compelling and dynamic, much more inclusive than whatever we had been led to believe from the anthologies we’d read and the classes we’d taken. To this day, I love running into a fellow Kundiman and can’t wait to hear about their work and discover what they have to offer to the conversation. Your Kundiman experience sounds like a quintessentially good TCK experience. In general, do you find that “your people” tend to be other ATCKs, or cross-cultural people, or creative folk? It varies quite a bit, but generally speaking I’ve found myself most at home with other Asian American writers (especially those I’ve met through Kundiman), other editors of literary journals, and other people who negotiate the fragile yet fertile space between faith, science, and compassion. On a broader level, I find my people are those who share a love of language and literature, whose eyes are on the forgotten spaces and figures of the world, and whose efforts and desires pointed outwards, with the ambition to make more room at the table. I love surrounding myself with people who are building bridges and tearing down arbitrary walls, who are not afraid to speak against the structures of oppression and forgetting, and who challenge themselves to do more and be more than who they were yesterday. On top of working toward your PhD, you won the DJS Translation Award for your co-translations of poetry from Mandarin to English. How do you feel about your two “native” languages? Do you prefer one to the other? I love the strange and omnivorous nature of English. English is constantly devouring other languages, incorporating new terms into its lexicon, and expanding with each passing year and succeeding social revolution. In terms of tone, music, and range, very few languages can compete with English. That being said, I also have a big place in my heart for Mandarin Chinese, a language I learned once when I was very young, forgot, then relearned at 19. What is it like to translate from Chinese into English? The two languages could not be more different. Chinese is a language traditionally learned by the memorization of classical and literary texts. It relies heavily on allusion, each word and phrase carrying with it a wealth of cultural association and literary reference. It moves not just sonically but also visually, evoking the elements—fire and water, air and earth—and connecting words and ideas that share some common philosophical history. The act of translation is a humbling experience—I’m constantly reminded of how fluid concepts and relationships are between ideas once they are unshackled from one’s mother tongue. And yet, there is great pleasure in it as well. I enjoy puzzles—I enjoy this bit of creative play where the translator searches for a way to create an equivalent experience and gesture in a new language for something that they have encountered in the original. My childhood experiences with Chinese left a deep imprint in my mind that manifests itself now as a type of intuition when it comes to finding the right equivalent phrase or understanding the cultural impact or resonance of the original line. It’s an imperfect intuition, but one that nevertheless guides me through tricky places in the poems and helps me feel still a part of the Chinese culture. Finally, I’d like to congratulate you on winning of the prestigious Philip Levine Prize for Poetry for The Lost Country of Sight. Is there a particular poem from that collection that expresses your feelings of transience or loneliness or instability—or freedom or curiosity or love of travel—that you are most proud of, and could you share it with us? looking back into the last flames of cloud. and settling down for the night. to this list of miles taking you out of the known earth. of familiar back roads into a long rope of sighs. 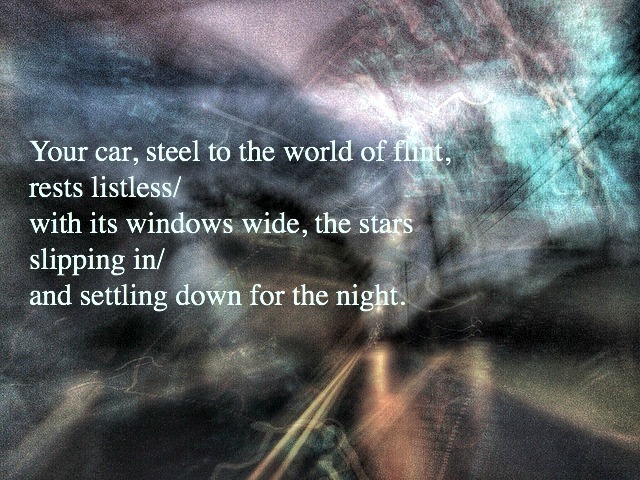 You could lower yourself down with such longing. something that must be on the verge of love. I have two countries, Cuba and the night. There is no Cuba, no other half of night. of music. No city in flames. All this absent. In me, there are as many countries as names. As many versions of the world. a wind-drifted plain of snow. 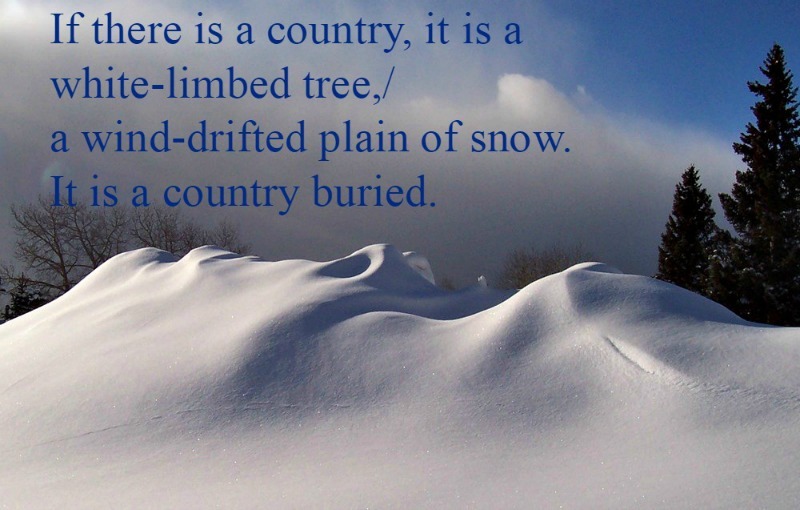 It is a country buried. Or a man holding a camera to his eye. Or a silence. If there is a country, there are two countries. A double exposure. The other world ghosting the first. from charcoal pressed to stone. Hard as raw rice. If there are two countries, a third always rises. Life preserver on the waves. A ship without reference. Anywhere. Everywhere. A nation of one. If there are three, there must be a fourth. I will find it in your skin. Hear it resonate in your bones. A ringing echo. Something of sound. It will be small. Almost a hut. A thatched roof shack in the wilderness. A hermitage for two. A boat in a river. Almost a home. “Wind shapes,” by John Holm via Flickr (CC BY 2.0). Thank you, Neil, for these two lyrical offerings. Again, congratulations on your numerous accomplishments in poetry and translation, and best of luck with post-PhD life! Readers, please leave questions or comments for Neil below.